Asian currencies are poised to appreciate if the dollar continues to fall, but the rising tide won’t lift all boats equally, Societe Generale said in a note on Monday. ”Against the backdrop of an impending China slowdown, higher U.S. yields, a late cycle phase in the U.S. economy and growing risks of a reversal in capital flows, regional central banks are likely to be cautious about permitting too much currency strength,” the bank said. The dollar index, which measures the greenback against a basket of currencies, is down around 13 percent since late 2016, but that’s a relatively tame decline compared with previous cycles, such as the 2002-2008 period, when it fell 25 percent, Societe Generale said. The bank forecasts the dollar index will fall by another around 5 percent over the next year. But if the trade-weighted dollar were to fall another 15 percent, in line with the 2002-2008 period, the impact on Asian currencies would vary widely, the bank said. 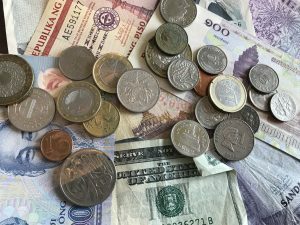 It expected that the Indian rupee and Indonesia’s rupiah would appreciate the least, with gains of only around 5-7 percent against the U.S. dollar and only 0-2 percent on a trade-weighted basis. That would be due to likely active intervention, strong real-exchange rates, slowing growth and impaired monetary policy transmission mechanisms, Societe Generale said. The bank forecast that South Korea’s won and Taiwan’s dollar would appreciate the most, noting that so far, the two have risen on par with the dollar’s fall. It expected that policy makers in those countries, while reluctant to allow too much currency strength, would probably only act to limit, not prevent, the underlying trends. 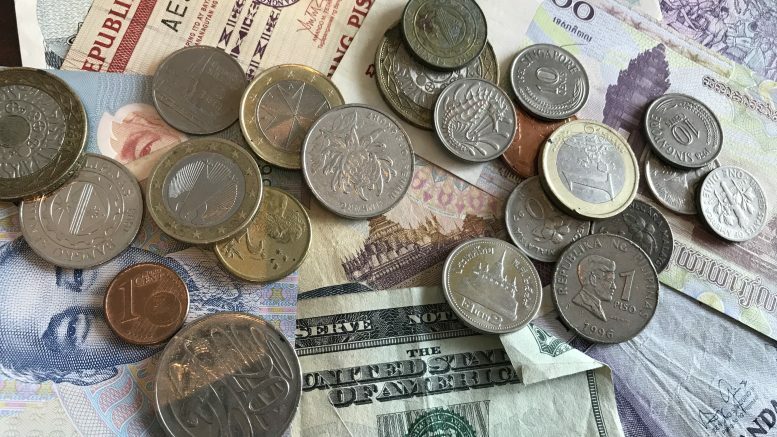 It forecast those two currencies would rise around 8-10 percent against the U.S. dollar and 3-4 percent on a trade-weighted basis. For China’s yuan, Societe Generale expected a movement somewhere in the middle. Over the past few years, the dollar/yuan rate has been closely tied to the trade-weighted dollar’s movements, it noted. “While the Chinese authorities may try to prevent too much appreciation by rebuilding reserves, it is unlikely that the link will be broken in the short term,” the bank said. If the trade-weighted dollar falls another 15 percent, the bank forecasts the yuan will rise 6-8 percent against the dollar and 2-3 percent on a trade-weighted basis.